Ringwood has hired MWWPR to deal with communications connected to the Ford Superfund and fears of the residents about possible impact on the Wanaque Reservoir from the former Ford Motor Company dump and plans to cap the industrial contamination rather than clean it up. One of the assignments suggested for MWWPR to complete is an online site based on facts and written in plain language to explain what is happening and its impact. Jesse Derris’ PR agency specializes in startups wanting to work as direct-to-consumer retail businesses such as Harry’s, Warby Parker, Everlane, and Reformation. Because startup organizations often are short on working capital, Derris & Company will receive a small ownership stake in lieu of part of their usual fee. So the $10 million fund they’ve raised should come in quite handy. Just 28 years’ old, Hope Hicks, a former model, now fills a top job at the White House, replacing the short-lived Anthony Scaramucci in the position. Though new to the job, she’s been part of the Trump camp since the campaign. The position may only be temporary for her though. She had been serving as director of strategic communications before this change. She first worked with the Trump family while at a NY PR firm, then later worked with Ivanka Trump on PR for her fashion line before she became the Presidential campaign press secretary. Beijing will be where Porter Novelli establishes their first office in China. They will be working mostly with small and medium-sized businesses who are planning to build their brands in the international marketplace. The service platform will be called China Desk, and the plans were announced at the PR firm’s 45th anniversary. They will help cover North America, Europe, Africa, Middle East, South America, and Asia Pacific while helping their Chinese clients. The PPRA, the premier communications professionals organization in Great Philadelphia, just named a new president in Adam Dvorin. Dvorin is Winning Strategies’ (a New Jersey PR firm) media director. The new position was announced at the 2017-18 PPRA’s Board of Governors meeting recently held at the Museum of the American Revolution. They also took the opportunity to honor two rising PR professionals, Christanna Ciabattoni – senior account executive at Skai Blue Media was named the recipient of the 2017 Presidential Fast Track Award. Marissa Reales – senior strategic communications major (Temple University) received the 2017 Dr. Jean Brodie Student Achievement Award. 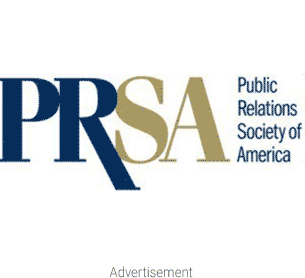 In addition to the award recipients, the PPRA named eight newly inducted members of their Board of Directors and three Board Directors at large.